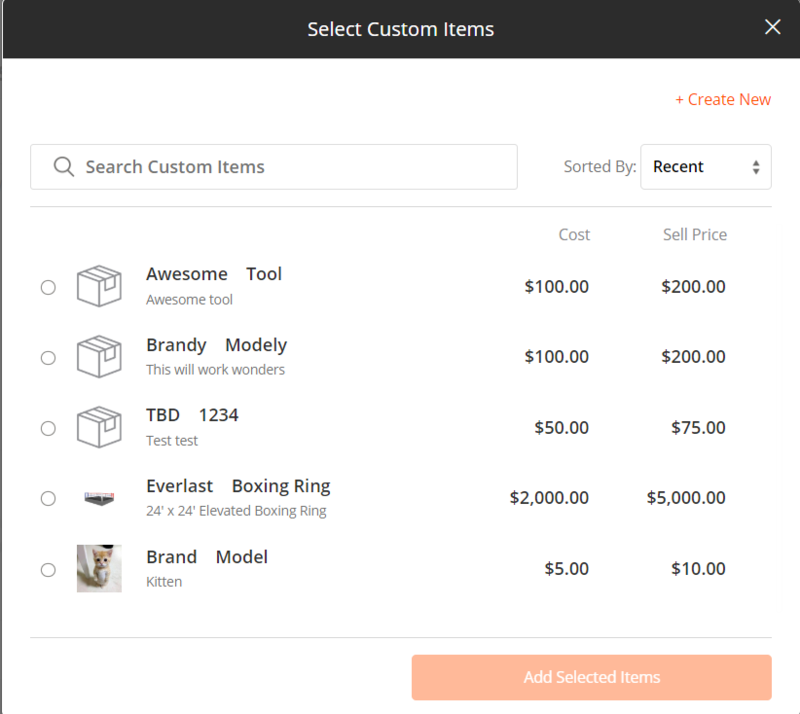 You can add custom products, owner furnished equipment, and more to proposals as Custom Items. This will open a new window. 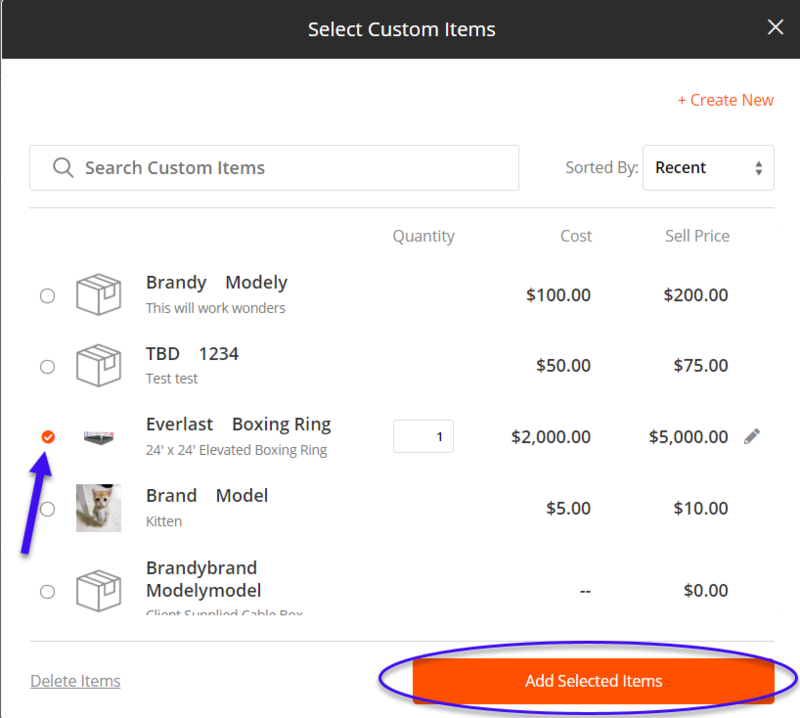 From here, you can search for a specific part in the Search Custom Items field or scroll the list of previously-created items. You can sort the parts list alphabetically or by how recently they have been created. Once you select your item(s) you'd like to add to the room, the Add Selected Items button will appear active. This will open a new window where you can add the details of your new part. Once you enter information for all of the fields, the Create Custom Item button will become active. Once you select that, the part will be added to your Custom Items list. 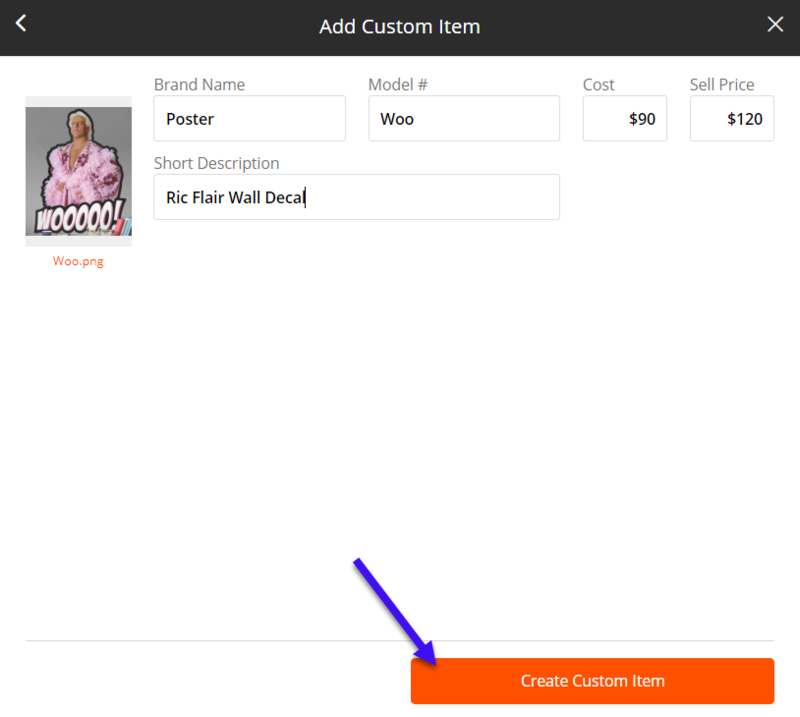 Custom Items are listed in a specific section within your chosen area . These items are static & cannot be rearranged within the room. NOTE: Currently you're not able to edit already existing Custom Items. This is a function we will add in future versions of the site.